Aizawa Kikutarõ (1866-1963) was born into the wealthiest family in Hashimoto, a small agricultural village specializing in wheat and silk. 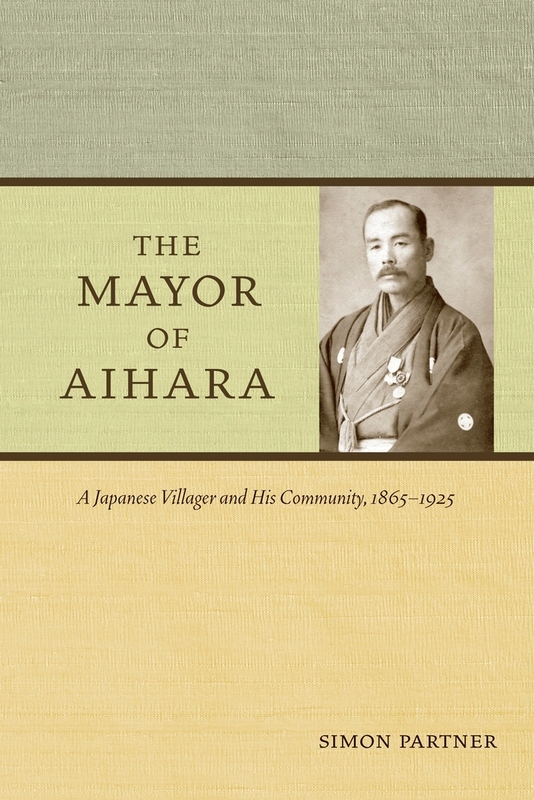 By 1925, the village was undergoing rapid commercial development, residents were commuting to factory and office jobs in cities, and, after serving as mayor for almost twenty years, Aizawa was working as a bank manager. Taking the biography of this leading villager as its central focus and incorporating intimate details of life drawn from Aizawa's diary, The Mayor of Aihara chronicles the extraordinary transformation of Hashimoto against the background of Japan's rapid industrialization. By portraying history as it was actually lived by ordinary people, the book offers a rich and compelling perspective on the modernization of Japan. Simon Partner, Associate Professor at Duke University, is author of Toshié: A Story of Rural Life in Twentieth Century Japan and Assembled in Japan: Electrical Goods and the Making of the Japanese Consumer (both from UC Press). Did Hashimoto Ever Become “Modern”? Villagers in Control of Their Destiny?